How much water is in your bottle? Some people are lucky to live in countries where drinking water is on tap, but sometimes we all find ourselves buying a bottle of water. It’s convenient, safe and portable, but how much water is really in your bottle? A one litre bottle of water has a litre of water in it, but what we can’t see is how much water it takes to make the plastic bottle. Cast your mind back to your FreshWater Watch training and you might remember learning about embedded water. Embedded water is water used to produce food and non-food products, this includes plastics. In fact, plastic bottles take about three times as much water to produce than they can actually hold. This means that three litres of water is needed to make a water bottle that only holds one litre. So why should we reach for a reusable bottle instead of plastic? 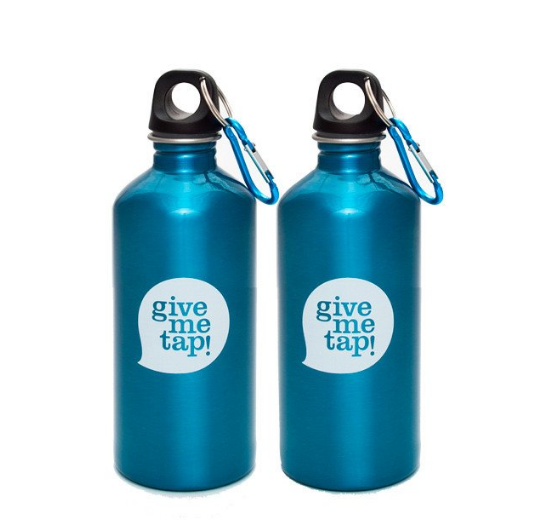 Topping up your reusable water bottle will reduce your water footprint by reducing your plastic consumption. As an added bonus, you’ll be creating less waste. Plastic is notorious for not being biodegradable. So every time we throw a plastic bottle away, it doesn’t go away, nature has to deal with the plastic for hundreds of years. And even then it breaks down into harmful microplastics and by-products. Share your water saving tips on our blogs, Facebook group and Twitter - and work out how much water you could save with the water footprint calculator in your profile. 3 Comment(s) - How much water is in your bottle? In the CI&IOM droplet pledges/ ideas were: meatless days (min.1 a week, but going vegetarian is option too! ), swapping a coffee for tea every day, shower instead of bath and use shower clocks. We also tried to do education in the office on how garbage selection and waste recycling should be done (what goes where game) to increase ratio of recyclable waste. Another option is to use rainwater for watering the garden and plants. How frustrating that it takes 3 times as much water to make one plastic bottle! A new pledge for me is to stop buying plastic bottled water. Great Blog! I have my HSBC water bottle here at work that I use for my daily water intake. What this program has done for me is open my eyes to the fact that it is not just my showers, dishes and teeth brushing that impacts our fresh water supply, but things like this, that people have no idea of! Thanks for bringing awareness!